GUYS GUYS GUYS. We’re only a few days away from Universal Dance Association Collegiate Nationals in Orlando, Florida! Even though my team doesn’t attend these nationals (we do NDA in Daytona! 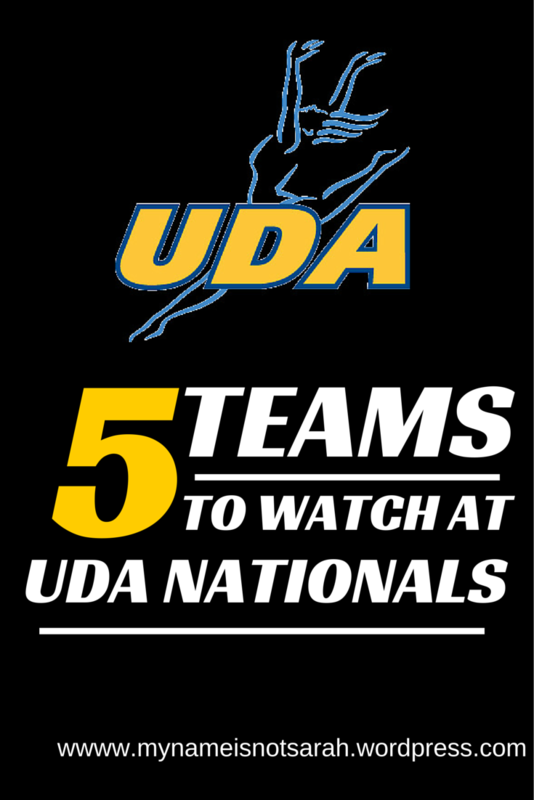 See my post here for more about my team and nationals,) we get so freaking excited every year to tune in and watch some of the incredible teams who compete at UDA. UDA Nationals always start the weekend that my team moves in early to start our Daytona Season training, and it’s a great way for our team to bond and get really excited for our own road ahead. There are always some amazing teams at UDA that literally blow our minds apart. UDA tends to be a little bit more about technique, where NDA does a little bit more with overall performance and spirit/tradition of the teams; both competitions have fierce ccompetitors. Here’s my list of the top 5 teams to be on the lookout for this season. Because, honestly, if you aren’t obsessed with Minnesota, you have something wrong with you. THESE GIRLS ARE ROBOTS I SWEAR. They have unbelievable technique, probably an infinite money pool to work from (all of their jazz routines are done by Carl Mundt, I believe [forgive me if I’m wrong], and he does not come cheap,) and those girls are so freakin’ passionate. No matter what, each year I’m dying to know what they’re going to pull out of their sleeves. Louisiana state university TIGER girl, not golden girls. They are two different things. Golden girls dance at the football games. Tiger girls dance at basketball and compete. Ah, you’re totally right! There’s a Golden Girls who compete at NDA, which is definitely where my blunder game from, haha. Thanks!